Located in the Grand Arcade, 17 East Mount Vernon Place. Open 10:00 am–4:00 pm Monday through Friday and one hour prior to all ticketed events. Tickets may be reserved online, by phone, or in person during Box Office hours. Programs are subject to change without notice. Use of cameras and video or tape recorders during performances is strictly prohibited. The Johns Hopkins University is a smoke-free environment and, as such, prohibits smoking in all facilities. All concerts at Peabody are FREE. Tickets are released by 10:00 am on the first business day of the month preceding the concert. Each patron is eligible for a maximum of four tickets to events in Miriam A. Friedberg Concert Hall and a maximum of two tickets to events in Leith Symington Griswold Hall, Joe Byrd Hall, and the Centre Street Performance Studio. All concerts are now general admission seating. There will no longer be assigned seats in Miriam A. Friedberg Concert Hall. Doors open for seating 30 minutes prior to all events, and patrons must be in their seats by 10 minutes prior to the concert start time. After that, the Box Office will release all will call tickets that have not been claimed and will accommodate any waiting walk-up patrons. 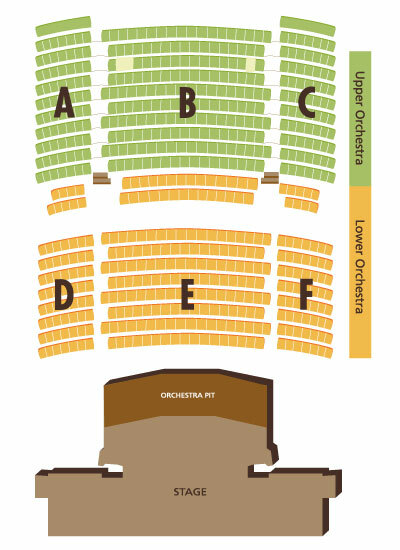 When seats are available, latecomers will be seated at the first break in the performance that is convenient to both the performing artists and the seated patrons. Due to safety regulations, there is no standing room permitted in Peabody performance halls. Groups of nine or more can reserve tickets in advance by calling the Peabody Box Office at 667-208-6620. All ticket requests are subject to availability. Please contact the Box Office in advance to make arrangements for individuals or groups of disabled concert patrons requiring assistance. Call the Box Office at 667-208-6620.